Citigroup Inc. failed to establish that it would be irreparably harmed by AT&T Services, Inc.’s use of AT&T THANKS for the name of its customer loyalty rewards plan, or that a likelihood of confusion existed with any of Citigroup’s THANKYOU rewards programs, the federal district court in New York has held, denying Citigroup’s motion for a preliminary injunction (Citigroup Inc. v. AT&T Services, Inc., August 11, 2016, Forrest, K.). Citigroup’s THANKYOU programs. Citigroup began offering customer loyalty programs using the term THANKYOU in connection with many of its credit cards in 2004. It has registered marks with the United States Patent and Trademark Office for THANKYOU, CITI THANKYOU, CITIBUSINESS THANKYOU, THANKYOU FROM CITI, and THANKYOU YOUR WAY. When Citigroup applied to register its THANKYOU mark, the USPTO initially refused registration on the grounds that there was a likelihood of confusion with prior registrations using the words THANK YOU in connection with banking services—UBS PAINEWEBBE R THANK YOU, and THANK YOU, NEW SOUTH. Citigroup overcame that initial refusal by arguing that: (1) the earlier registrations used those words with house marks, which it contended "avoids any likelihood of confusion," and (2) neither of those prior registrations related to credit card services; i.e., that confusion should be considered by looking at the underlying services, not just the fact that marks are used for customer loyalty programs. Citigroup and AT&T have partnered to offer co-branded credit cards since 1998, and some 850,000 cardholders earn THANKYOU rewards points from Citigroup. There have been several agreements between Citigroup and AT&T over the years in connection with these co-branded credit cards. AT&T THANKS. AT&T launched its customer appreciation program, "AT&T Thanks," on June 2, 2016. Though the parties dispute when AT&T first communicated its name choice to Citigroup, for purposes of the motion, the court found that such communication occurred no later than March 25, 2016. AT&T filed an intent-to-use application with the USPTO for AT&T THANKS on April 7, 2016, and that application was still pending. Citigroup filed suit on June 9, 2016, a week after AT&T announced its program’s launch, and moved for injunctive relief on June 24, 2016. Irreparable harm. Citigroup argued that it would suffer irreparable harm from the loss of control over the reputation and consumer goodwill toward its THANKYOU marks if AT&T were not enjoined from using AT&T THANKS. The cases Citigroup cited to support its "loss of reputational control" theory of irreparable harm all considered likelihood of confusion as part of the analysis, and the court found Citigroup’s evidence on that front to be lacking. Citigroup had no evidence of actual confusion, and instead cited "the many negative comments from consumers related to" AT&T THANKS, which it contended threatened the goodwill Citigroup has built up in its marks. The court reviewed these complaints and noted that they were tied specifically to AT&T’s core telecommunications services, not its loyalty program. This evidence, therefore, did not support Citigroup’s argument. Further, the fact that the parties had agreed "to be at least somewhat associated" with each other with respect to the co-branded credit cards further weakened Citigroup’s argument that it would be irreparably harmed by reputational damage stemming from AT&T. Finally, the court found that, with Citigroup having notice of AT&T’s choice of name as of March 25, 2016, the elapsed time between that date and its June 24, 2016 injunction motion cut against any claim of irreparable harm. Likelihood of confusion. Citigroup argued that it has a likelihood of succeeding on the merits of its trademark infringement claims because: (1) it owns valid marks; (2) AT&&T is using its mark without Citigroup’s consent; and (3) AT&T’s use of its mark is likely to cause consumer confusion. AT&T challenged only the third of those elements. 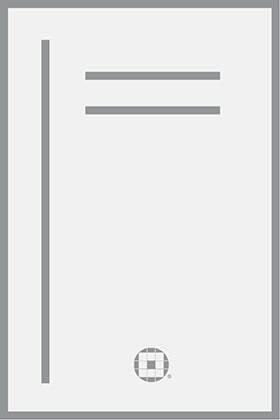 The court evaluated "likelihood of confusion" using the Second Circuit’s eight-factor test from Polaroid Corp. v. Polarad Electronics Corp., 287 F.2d 492 (2d Cir. 1961). The court held that all eight factors are either neutral or weighed against finding likelihood of confusion on the current record. As to the strength of Citigroup’s marks, the court found that Citigroup’s programs are well-established, but in the marketplace for customer loyalty programs, "names similar to the THANKYOU marks" are prevalent, thus undercutting the marks’ distinctiveness. Thus, this factor weighed slightly against finding a likelihood of confusion, the court held. In analyzing the similarity of the marks, the court found that AT&T’s pairing of "Thanks" with its house mark, AT&T, was an "important" difference between the marks that tipped this factor against finding that confusion is likely. Citigroup argued that the court should consider the "proximity of the parties’ products" factor by looking at the fact that both parties used the marks in connection with customer loyalty programs. The court, however, concluded that the proximity factor must be considered in the context of the core services that the programs promote. Because telecommunications (AT&T) and credit card services (Citigroup) were not competing services, the rewards programs are not proximate, the court found, weighing against likelihood of confusion. 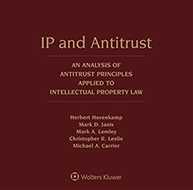 Indeed, Citigroup itself argued for a service-level analysis when confronted with the USPTO’s initial refusal to register its THANKYOU mark, the court noted. The absence of evidence of actual confusion was not significant, the court found, because AT&T only launched its program in June. The court did find AT&T’s three Eveready surveys showing an absence of confusion to have some value, causing this factor to weigh against likelihood of confusion. Finally, the court found that the question of "consumer sophistication" weighed against a likelihood of confusion. Consumers "are likely to make their purchasing decisions carefully," as the costs for telecommunications services are high. Citigroup argued that consumers receive the AT&T THANKS program for free, and thus presumably exercise less care, but the court was not persuaded. 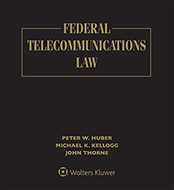 Since consumers only receive that program for free if they purchase the telecommunications services in the first place, it is not really "free," and the care with which they purchase telecommunications services was dispositive of this factor. Balance of Hardships. Citigroup failed to carry its burden on this injunction factor as well. Citigroup failed to show irreparable harm, and AT&T advanced evidence that requiring it to halt the use of its mark would be "an expensive and significant disruption." The case is No. 16-cv-4333 (KBF). Attorneys: J. Kevin Fee (Morgan, Lewis & Bockius, LLP) for Citigroup Inc. Dale Margaret Cendali (Kirkland & Ellis LLP) for AT&T Inc., AT&T Services Inc., and AT&T Intellectual Property LLC. Companies: Citigroup, Inc.; AT&T Intellectual Property, LLC; AT&T Intellectual Property II, L.P.; AT&T Services, Inc.